Nasarawa State Based singing sensation Labandosky is here with his own Cover to the Kizz Daniel’s trending “Fvck You” challenge, the song is causing so much conversations on social media. Sarkodie, Davido, Lil Kesh, CDQ, Skiibii, Chinko Ekun among others have done their versions of the track and Labandosky decided to join the bandwagon to deliver his own side of the ‘Fvck You’ story. 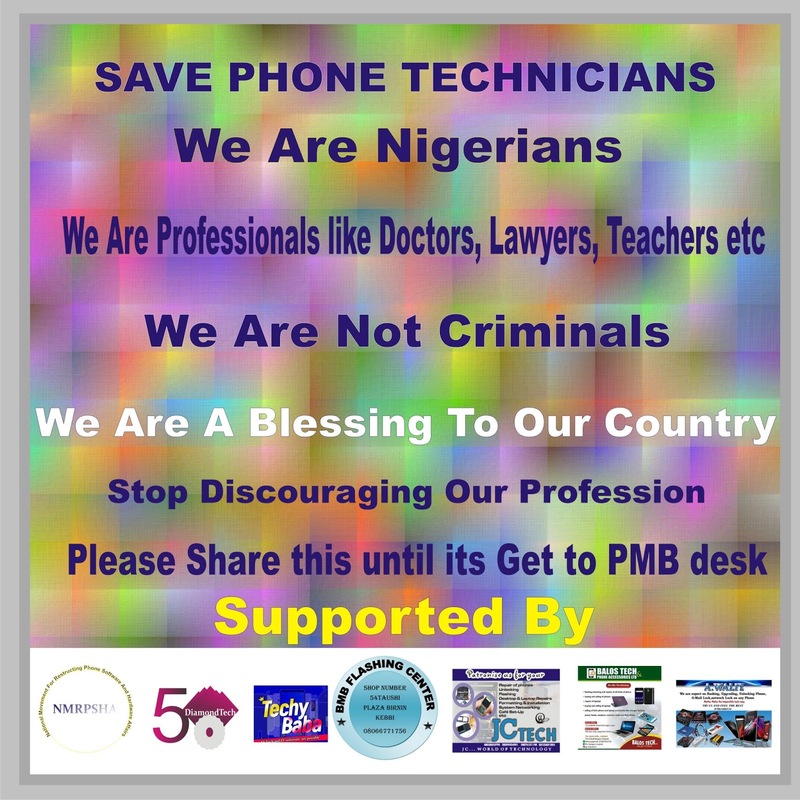 Firstly, phone repair have created many jobs and employment to Nigerians …it have empowered the literate, the illetrate, graduates,family men and so on have benefited from GSM engineering. THESE have made them to focus imersly on their profession and hereby reduced crime and corruption in Nigeria. Our dear government….The manner at which the police force called SARS treat us is not mindly. Why will they just enter into our offices and get us arrested for flashing and unlocking phones? Why will they see us as criminals and means of extorting money?? Can’t GSM be legal in Nigeria? Why must we continue shedding tears of losing huge amounts of money and bitter experiences always. Our government please we are tired of these, we were never told that flashing, unlocking or repairing the security of phones are illegal.’without GSM engineers how would the country forward communication’. WE cannot continue to fold our hands anymore and see the future of phone engineering truncated that is why we all have come in a peaceful protest asking the government to bring our pains to analysis. WE are engineers we are great minds we are inventors of solution. Pls come to our rescue federal government. Many of us have left these profession because the harassment is too much …… Please Mr president help to encourage us and not allowing these officers to harrase us. Unbehalf of the ‘NATIONAL MOVEMENT RESTRUCTION PHONE SOFTWARE AND HARDWARE AFFAIRS WE SAY ENOUGH IS ENOUGH’. ARREST THE CRIMINALS, LEAVE US! 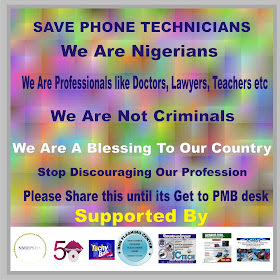 We are not thieves, we have never been told that unlocking and flashing of phones are illegal, stop treating engineers like a criminal, stop risking our careers, stop discouraging us , stop making us hate our jobs, this is what we do best and this is what we know how to do best, don’t turn us to jobless dudes, don’t turn us to thieves, don’t turn us to ritualists. #Police should stop arresting engineers that unlock phones that are later discovered that were stolen, if we don’t unlock them, there is no way you could track it, we deserve an accolade, stop embarrassing us, stop collecting unnecessary huge money on us, stop threatening us with jails, we do nothing bad , we will accept arresting engineers that buy fairly use phones that later discovered were stolen not those that unlock phones unknowing it was stolen, stop killing Nigeria as a Country, stop killing those that have visions, stop killing those that believe in hopes, #police injustice must be stopped. MY FELLOW NIGERIANS HELP US TO STOP POLICE INJUSTICE ON US. THIS IS NOT ABOUT ME, BUT ABOUT NIGERIANS THAT NIGERIA COULD NOT PROVIDE JOBS FOR, BUT DECIDED TO LEARN SOMETHING TO FEED THEIR FAMILY AND TO HELP FRIENDS, NOW POLICE INJUSTICE IS ABOUT TO KILLED SUCH CAREERS. GRADUATES THAT ARE JOBLESS ARE AMONG US THAT DECIDED TO LEARN THIS AFTER 5 OR 6 YEARS IN SCHOOL, NOW TELL ME WHY YOUTH WON’T INVOLVED THEMSELVES IN YAHOO PLUS AND SOME OTHER RITUALS. POLICE INJUSTICE ON ENGINEERS MUST BE STOPPED. TECHNOLOGY GOING BACKWARD IN NIGERIA IS ABOUT TO START, UNLESS POLICE STOPPED THEIR INJUSTICE ON THOSE THAT ARE HELPING IN TECHNOLOGICAL ADVANCEMENT OF THIS COUNTRY. I THINK NIGERIA AS A COUNTRY SHOULD HELP US NOT PUTTING US DOWN. GATHER US AND SEE HOW WE CAN HELP THE COUNTRY AS A NATION ECONOMICALLY AND TECHNOLOGICALLY. SOME OF US ARE QUALIFIED THAT WE CAN BUILD PHONES IF ALL NECESSARY INSTRUMENTS ARE PROVIDE…………….. PLEASE SHARE! PLEASE SHARE!! PLEASE SHARE!!! Teranz.. This is a follow up song to celebrate Mothers Day..
“ Mama” is a song solely dedicated to our mothers as the rapper talks about the love, caring mothers give even with the Child short comings. This is a must song, we need to download to celebrate our mothers and also appreciate their love to us. Five Star Music general, Kcee has released his long awaited project called ‘Eastern Conference’. Off Kcee’s body of work ‘Eastern Conference’, check out this new single titled “Eyimba”. The ‘Eastern Conference’ album houses 10-track with guest appearance from Nigerian comedians; Ajebo and Acapella. Falz TheBahdGuy premieres the official music video to his single titled “Hypocrite“, featuring Demmie Vee. The Sess-produced single is lifted from his 4th solo studio album ‘Moral Instruction‘ released January this year. In addition, the video portrays the recent happening at the just concluded general elections, its directed by Iyobosa Rehoboth popularly known as Prodigeezy. ‘There is a dire need for us to redefine the concept of humanity and morality. There is a pressing need for re-education and re-orientation of the people. For this is the only way we can restore sanity’. – Folarin Falana. Kindly revive the AUDIO/MP3 HERE. Falz presents his 4th studio album “Moral Instruction” today 15th of January as promised. The album house 9 special tracks with guest artiste like, Demmie Vee, Chillz and SESS. The tracks from the “Moral Instruction” album embodies portions of the composition of Fela Anikulapo-kuti’s “Johnny Just Drop”, “Zombie” and “Coffin For Head”. Here is a track off the album by Falz titled “Hypocrite” featuring Demmie Vee.